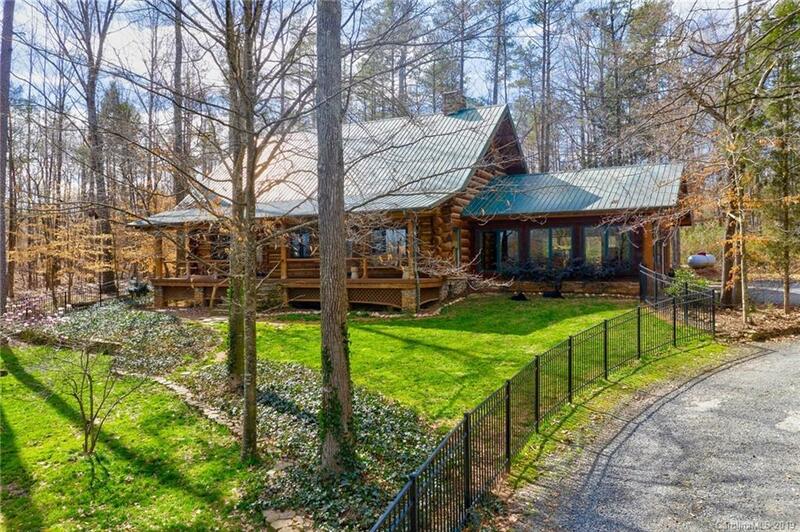 The only Real Log Cabin (custom large Engleman Spruce and Lodge Pole Pine logs from Montana) in driving distance to CLT and minutes from Waxhaw and Cane Creek Park on your own private estate with creeks on the East and South border in addition to a 1+ acre, 10'+ deep pond stocked with large mouth bass, channel catfish, perch and minnows. Beautiful mix of hardwood forest and multiple fenced pastures. Come home to light a fire in one of the glass front wood stoves and enjoy the possibilities.